for $524,900 with 4 bedrooms and 3 full baths, 1 half bath. 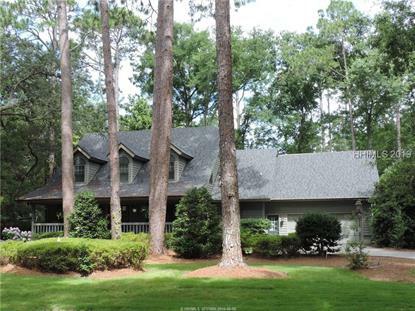 This 3,200 square foot home was built in 1984 on a lot size of 0.3974 Acre(s). Excellent value on superbly maintained Lowcountry style home with private heated pool on large, well landscaped corner lot. Desirable HHP location convenient to Main Gate. Features include large updated eat-in kitchen, casual and formal dining, separate den/office, vaulted ceiling great room, Carolina room, smooth ceilings, crown moldings, etc. Dual master suite arrangement. 2-year old roof. Crooked Pond owners enjoy private recreation complex with pool and tennis.